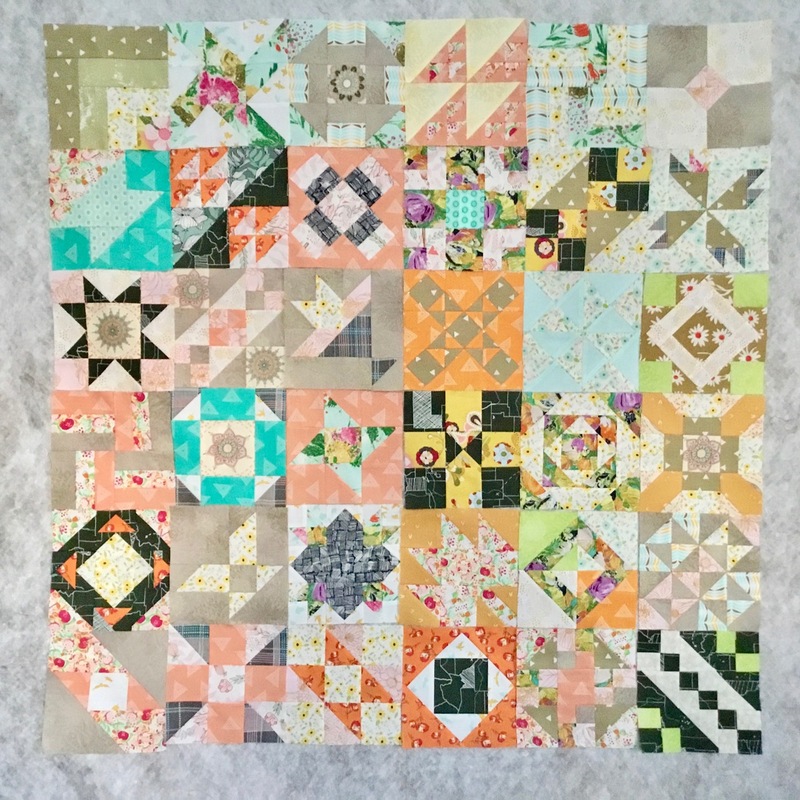 Modified Farmer's Wife block #32. I've already modified the assembly of several of the blocks to make machine piecing easier, so why not modify the designs to better fit my construction method, too? It's MY quilt! I can do that. Right?? 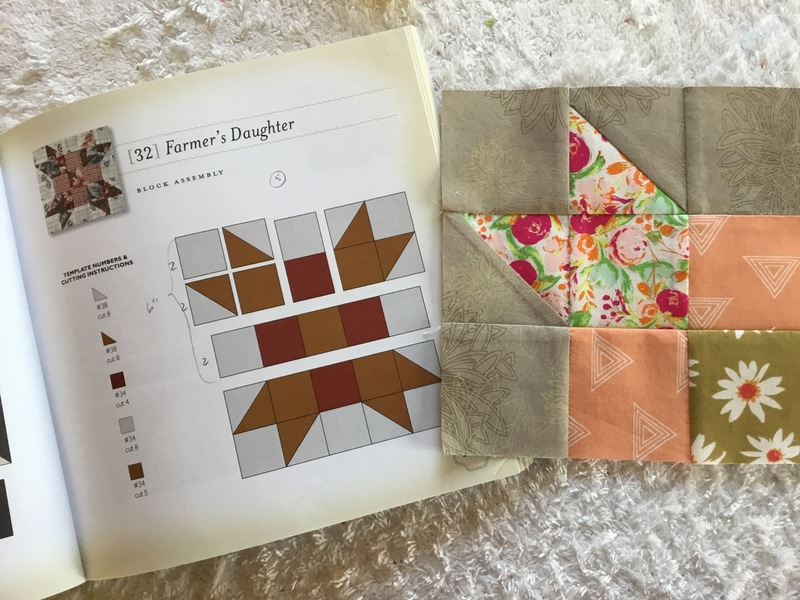 The Farmer's Daughter block #32 is a good example of my modification process. I decided to use part of the 5-unit design to make a 3-unit, nine patch block. My Cat's Head block: easy math, 9 patches vs. 25, less cutting, quick assembly. Modified Farmer's Wife Farmer's Daughter block. My Fruit Basket Block #42 is now a 4-unit Pint of Blueberries block. The top and side rows of half-square triangles were omitted. Modified Farmer's Wife Fruit Basket block. 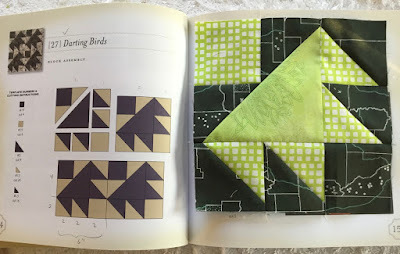 My Block #27 is one Starling instead of four Darting Birds. Modified Farmer's Wife Darting Birds block. 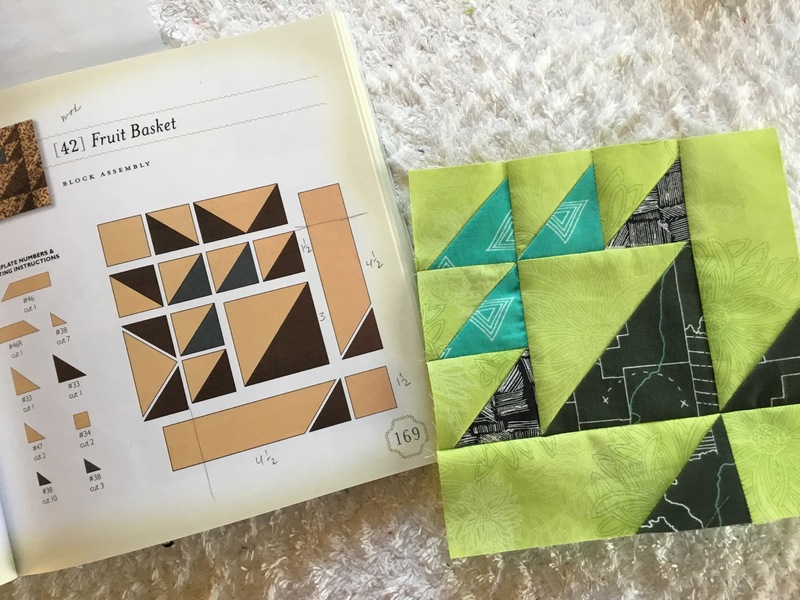 The *new* relaxed guidelines I've implemented makes this sampler project much more fun! I'm still doing the cutting math, but I'm able to use more of the block patterns in the book. I think the variety of blocks with small and larger pieces is a nice change. It's MY sampler, right? 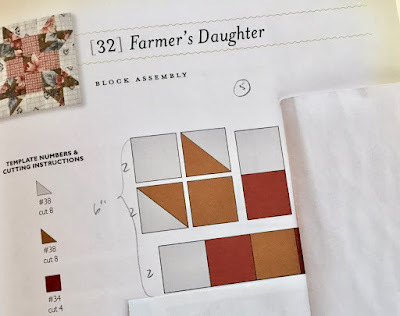 There are 111 blocks in The Farmer's Wife book. Here are 36 I've made so far. Using the book as a jumping off place, I have more block possibilities to suit my machine pieced assembly method. 36 blocks for The Farmer's Wife sampler quilt. Fabrics are from various collections from Art Gallery Fabrics.